ULAS project investigates how different generations have re-used ancient sacred places. The site during excavation. 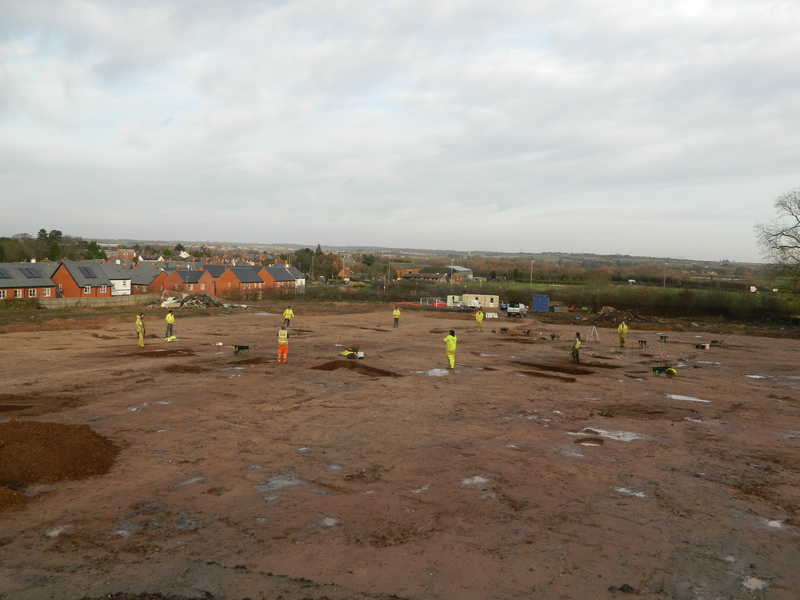 Archaeologists stand around the line of the backfilled Bronze Age barrow ditch. The Cossington Barrows would have once been positioned in the middle background. An Anglo-Saxon grave is recorded by one of the archaeological team. The skeleton does not survive but it contains a complete pot (visible at the far end) and various metal artefacts, such as a knife and spear. An Anglo-Saxon annular brooch found in one of the graves. An Anglo-Saxon burial on the edge of a barrow mound. Artwork: Debbie Miles-Williams.